Did you know that 94% of churches are losing ground against the growth of the communities they serve? Only 6% of churches are growing at a faster rate than the communities they are a part of. It’s a truth that motivated us to pursue putting together The Growing Church Series, which we’ll continue next week. What’s the biggest reason for the lack of growth? After hearing story after story of how many churches operate, I’m convinced that the majority of churches that are losing ground in their communities have a lack of courageous leadership. And I’m not the only one who believes this. 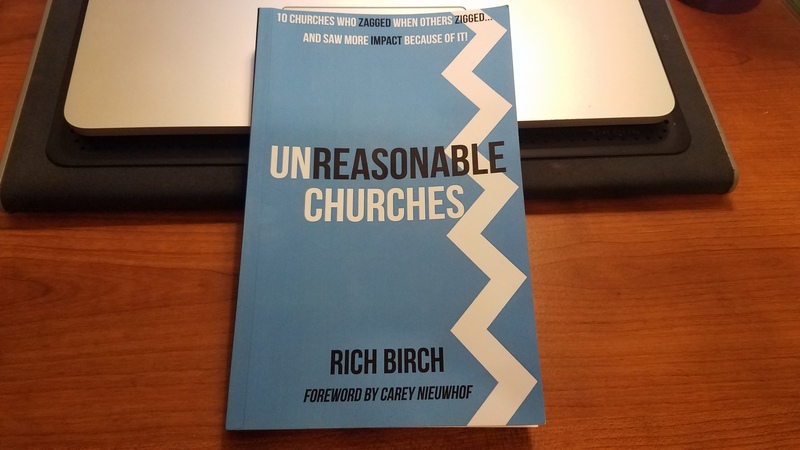 Last month, I was blessed to join the launch team for Rich Birch’s new book, Unreasonable Churches: 10 Churches Who Zagged When Others Zigged… And Saw More Impact Because of it! It has been a refreshing read because he is tackling the same issues that we are in our Growing Church Series. But he’s done something better – Rich has collected 10 stories of churches that are defying the one-size-fits-all ministry model. Instead of buying into the next pre-packaged ministry program, these churches are doing things that many are deeming as unreasonable (in a good way). More about the book in a minute. Jesus’ Church is utterly and completely UNSTOPPABLE! If you don’t believe it, you’re not believing Jesus. Nothing in this realm or in any other realm will stop the Church from advancing, from evangelizing, from conquering sinful hearts with the love of our leader. The Church of Jesus is not, will not, and cannot be stopped. The enemy wants to stop it, but he shall not prevail. He shall fail. The Church should be the most innovative, caring, culturally aware, socially engaged, loving group of people the world will ever know. Too often, rather, we are the group of people who let politicians manipulate our fear, who innovate 20 years late, who argue about petty matters of no significance, who are happy with participation awards, who are last to speak hard truths, who are last to give grace to someone who screwed up, who don’t call people to a life beyond themselves (that’s the whole point, yeah? ), who avoid the mess of ministry, and so much more. I get pretty passionate about the purpose and power of God’s Church – especially when we, her humble leaders, don’t operate from that purpose and power. I don’t know your specific context. I don’t know your specific challenges. I don’t know who your board members are. I don’t know the history of your church. I don’t know any of that. But what I do know is that you are there. You have been given the opportunity and privilege to have your voice heard, to have your vision for the local church be manifest into a strategy of ministry. 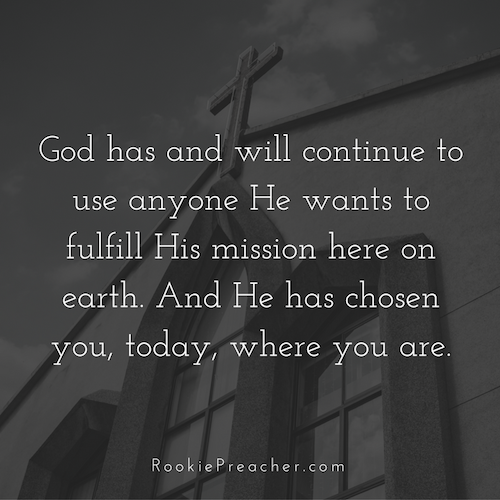 You are where you’re at because God has desired to have you there, doing what you can by His power to live out His mission. I know the challenges you face probably keep you up at night. I know that you wrestle with doubt of whether or not you can lead your church to where it needs to go. I know that you are juggling multiple hats just to keep things from falling off the rails. I know that you deeply desire to see God’s Church grow and flourish in health, but you often feel as though you don’t know what to do next. The feelings you experience on a weekly basis are not uncommon. You are in good company. Ministers from of old and ministers today have all wrestled with and continue to wrestle with the same feelings and doubts. But here’s the thing: despite the doubts of yourself, of those who have gone before you, and those who are beside you, God has and will continue to use anyone He wants to fulfill His mission here on earth. And He has chosen you, today, where you are. So don’t doubt. Instead, take a step back from the challenge you are facing and begin to see with eyes of faith. Take the shades of fear off and see clearly. In a world that is pushing back against God’s Church, we must become even more unreasonable. Instead of grabbing the wave of every cultural change, we must begin to consider doing things that are unconventional. One leader desired to see the Gospel be preached in Disney World and Disney Land, specifically to the workers of these uber popular theme parks. Out of that, Cast Member Church was born. And they are anything but your conventional church. And while your community may not be made up of people dressing up like Mickey Mouse and Elsa, there is so much to learn from what they are doing. If you want to move your church forward, begin dreaming again about what the local church could be in your community. What needs do you see in your community that could be met by your church? What convictions has God given you that you are keeping to yourself? In order for your church to be unreasonable, and make a big impact because of it, you must be willing to get out of your comfort zone and watch what God will do. You know the Church is plan A. I know you do. 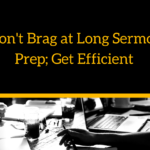 That’s why you’re reading an article on a site that is dedicated to helping you preach and lead better in God’s local church. 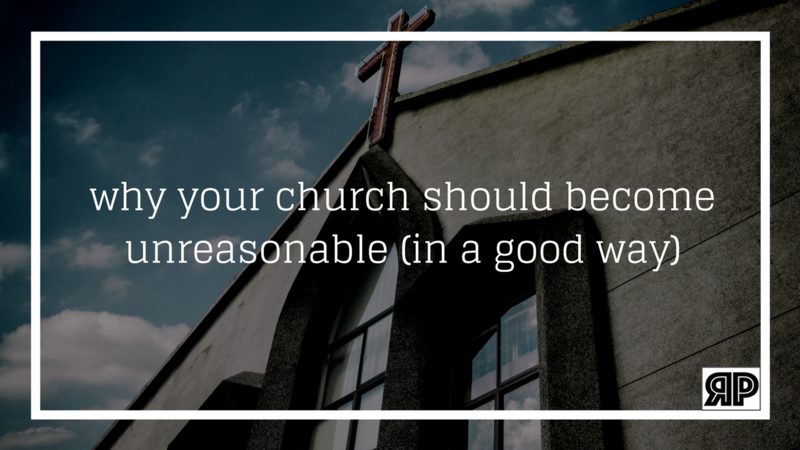 But, like most of us, you may be struggling with seeing where God is calling your church to become unreasonable. 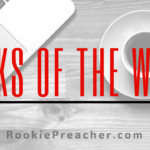 You may need something to spur your thoughts on to see beyond the ministry models you’ve been taught. Well, I’ve got just the thing for you: Unreasonable Churches: 10 Churches Who Zagged When Others Zigged and Saw More Impact Because of It (affiliate link – to help me save for my daughters to go to college). In this book, your whole team will be challenged to think outside the box. I really encourage you to go through this book with your staff, your volunteers, or both. “One thing I’ve learned in two decades of church leadership is that many leaders would rather make excuses than make progress. The truth is, you can make excuses or you can make progress but you can’t make both.